John Pemberton has been in business for himself for over 10 years, following a successful management career in the Computer Games and FMCG industries. For the last 3 years he and his business have benefited from the capabilities and options offered by Linnworks. As an articulate, well-motivated modern businessman, he already writes articles for TameBay; has featured in numerous national press articles and has spoken at the European Parliament and Westminster Select Committee meetings. 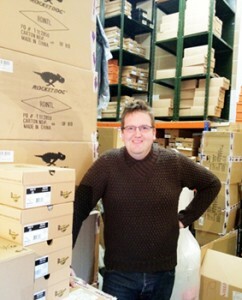 John has run workshops to help local unemployed people start to sell online, with much success. John regularly assists the leading marketplaces with advise on changes and improvements to their platforms. John’s newest challenge is to make himself available to other online business people to help them understand the best way to move forward in business. Whether it’s the right tools (such as Linnworks), or simply understanding the pitfalls that litter the road to success, he is offering a limited number of free short consultations to help people evaluate how to get the best from their business and Linnworks when selling online. Your business aspirations for the next 12 months.